Don't lie. You know you always wanted to wear a phat dookie chain with your name on it. 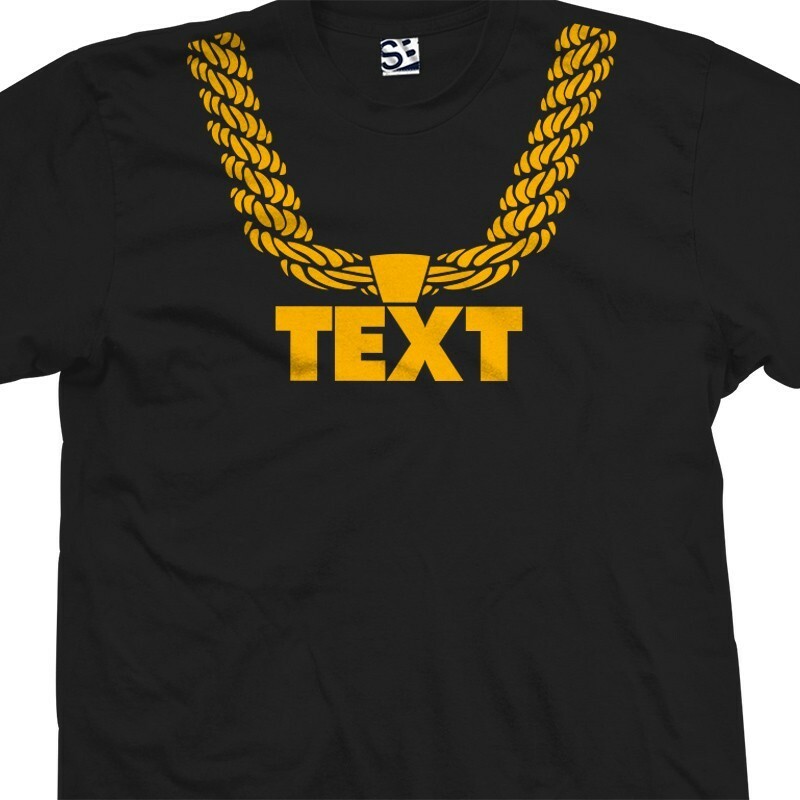 Now you can with this Custom Hip Hop T-Shirt. Available in multiple colors and almost every size imaginable.